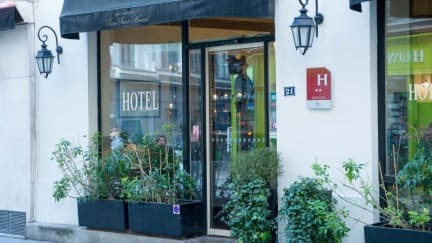 Hotel Paris Saint-Honore i Paris, Frankrike : Boka nu! 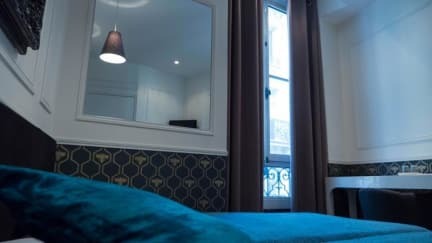 The individually decorated guest rooms at Hôtel Paris Saint-Honoré feature a flat-screen TV and a telephone and are serviced by a traditional lift. All of the rooms have a small en suite bathroom with a bath or shower. These are not spacious, but there is enough space to take a comfortable shower or bath. A buffet breakfast is served each morning at Hôtel Paris Saint-Honoré. In the evening, guests are invited to relax on the sofas in the hotel’s reception.